See more Yi Collection Rings. We check over 450 stores daily and we last saw this product for $700 at Moda Operandi. If you're a fan of Yi Collection's more subdued pieces, then you'll love its delicate chain ring. 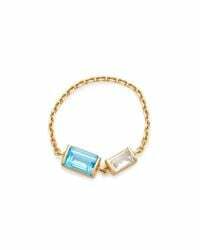 This handmade piece has an 18-karat gold setting that's punctuated with stunning aquamarine and white topaz stones. We think it's dainty silhouette is perfect for everyday. Slips on. 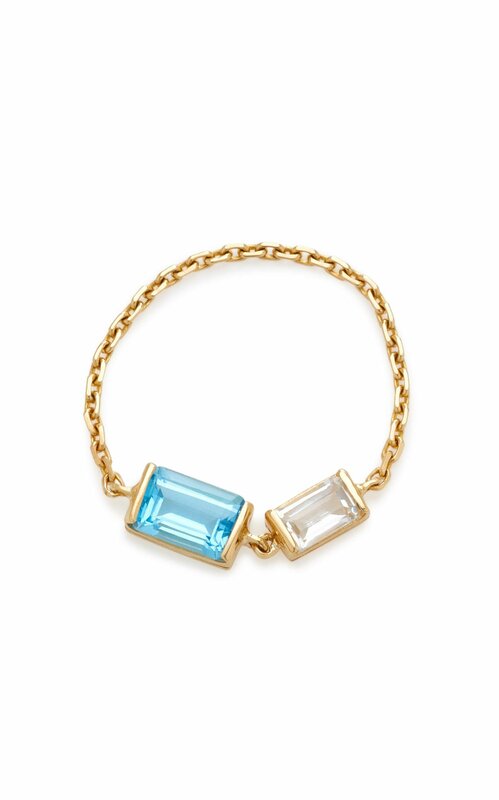 Composition: Topaz; Aquamarine; 18K gold. Please note the possibility of natural inclusions in gemstones.